Every parent wants their children to be safe and healthy and get the care they need when they need it. Because dental problems often come with pain and kids often struggle to express what’s wrong, it can be hard to tell what is a true emergency. Here we will explore examples of pediatric dental emergencies that require urgent care. If your child has a pediatric dental emergency, CONTACT WEST MICHIGAN DENTAL ASSOCIATES RIGHT AWAY at (616) 554-5970 for same-day dental care. What Is a Pediatric Dental Emergency? As with adult dental emergencies, a pediatric dental emergency is any dental issue that a child is having that requires urgent care by a dentist. Often these emergencies are very painful. 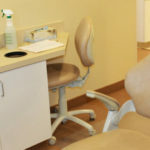 Because children’s teeth are still developing, their dental issues can sometimes impact how their future teeth come in. It’s good to be aware and proactive. What Kinds of Dental Problems Are Emergencies? Lost teeth – If your child loses a tooth, this needs immediate attention. 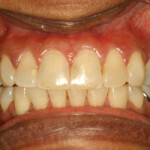 Permanent teeth can often be reinserted. If you can find the tooth, keep it in milk or salt water until you can get to the dentist. The sooner we can reinsert it, the more successful the procedure is likely to be. Baby teeth serve as placeholders so that adult teeth will erupt correctly. Typically, we won’t try to reinsert baby teeth, however, because reinsertion can harm the tooth bud. You should still bring your child in so we can check for any damage and address it. Chipped or broken teeth – Broken teeth are usually painful – sometimes very painful. If this happens, you will very likely know about it. Until you can get to the dentist’s office, you should put a cold compress on the tooth and give your child an appropriate over-the-counter pain medication. Tooth pain – Especially with little kids, it can be hard to tell what the trouble is when their teeth hurt. There can be a number of possibilities. They could have food stuck in their teeth or have taken a fall and hit a tooth. New teeth could be erupting through the gums. They might have cavities or periodontal disease. With a flashlight, look in their mouth to see if you can identify any trauma or infection. Have them rinse their mouths with water. If the pain remains, make an appointment to see us. 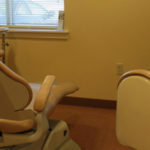 Displaced teeth – Kids are busy and not often careful. They have accidents and sometimes knock out or displace their teeth. An impacted or displaced tooth can cause pain in the present and problems for future development. This would be considered a dental emergency as much as a lost tooth. Dental abscess – A dental abscess is an infection around the roots of a tooth. If an abscess goes untreated, the infection can spread to other parts of the body or become dangerous to your child’s health. Symptoms of an infection include fever, tooth, jaw, or gum pain, swollen gums, bad breath, or a bad taste in the mouth. If you think your child has an abscess, call us right away. You should not ignore an infection, particularly in the mouth. Kids get sick and they get cuts and scrapes and bruises. It can be hard to decide when to involve a professional. If your child experiences any of the above, however, don’t hesitate to contact Dental Associates of West Michigan. We will do our best to provide timely help so that your child’s pain or dental trauma can be alleviated right away.